Justin Sun, Founder and CEO of the 11th largest market cap coin TRON, has faced huge criticism for a botched competition, which saw the winner of a brand new Tesla car publicly announced and then swiftly revoked, leaving confusion for the winner, and many accusing Sun of running a scam. 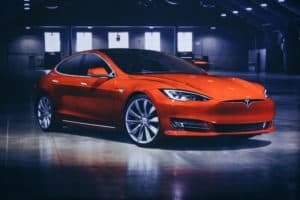 The competition, where participants had to follow Justin Sun and retweet the original post, was part of Sun’s plan to give away a US $20m airdrop among 88 winning participants, in addition to a top prize of a Tesla for one lucky winner. It now seems that the prizes, and maybe even the winners, were never real in the first place. In a debacle which is exploding on Twitter, crypto analyst John Galt (@CryptoJohnGalt) posted a series of Tweets, in which Galt reveals several very suspicious activities behind the draw. The first draw took place from the official Tron Foundation twitter page, and strangely, picked a bot, user @kozmenko2017, as the winner. In the following draw, 87 “winners” were picked at random, though Galt claims that the IP hashes and timestamps clearly reveal that all of these were from the same person. Eventually, the winner was announced by Sun as Twitter user @uzgaroth, who was asked to provide his contact details. Unsurprisingly, after doing so he heard nothing, and now the original tweet, seen in the screenshot below, is gone. 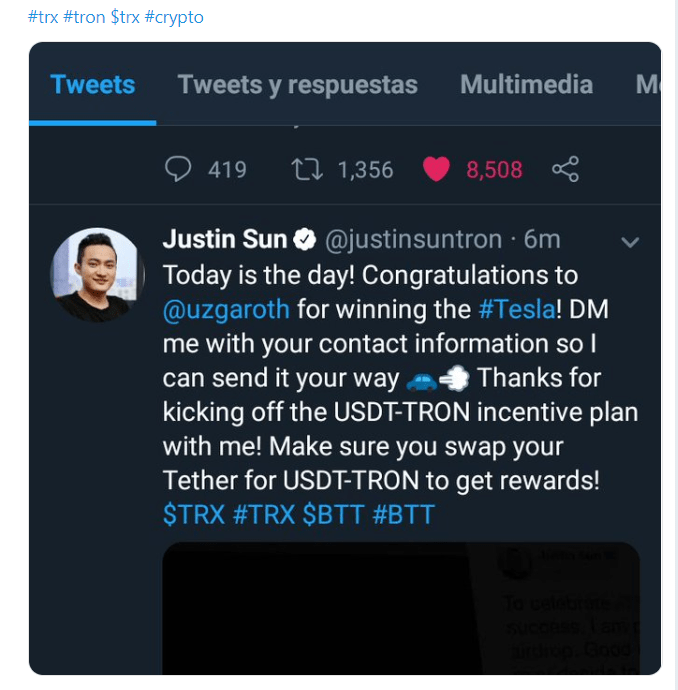 Justin Sun officially announced the winner in this Tweet, which he later removed. Additionally, the video of the selection process ‘glitches’ and shows the twitter profile of @uzgaroth 30 seconds before the draw is actually announced. Sun claims that the video of the selection process, which was shared to Twitter to provide transparency, was ‘too large’ for Twitter, and the compression caused the glitch in the video. Since the controversy spilled out onto Twitter publicly, Justin Sun has erased all mention of @uzgaroth from his tweets and failed to recognize him as the winner, despite his earlier announcement. In what could only be described as a massive understatement, Sun acknowledges in a reply to the jilted winner that the situation is “unfortunate,” instead, offering him a fully paid round-trip ticket to the next Tron summit in 2020. Needless to say, this move was met with criticism, with one user instantly drawing parallels between Sun and a well-known scammer meme. Other projects which have famously been embroiled in fake giveaways are Waltonchain, who “won” their own prize, and the doomed Bitconnect, which ran several car giveaways. All of this comes just a few weeks after over half of Justin Sun’s one million plus followers were deemed to be fake, and many have suggested that this latest competition is just a PR stunt to boost Sun’s real followers. The complete truth is unknown, but the burden of proof is on Justin Sun and the Tron Foundation to prove that their giveaway was genuine, and the fallout from this could see many users losing faith in the project. Where’s My Tesla? 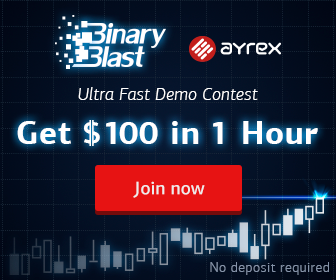 Justin Sun Refuses to Honor Competition Winner was originally found on copy trading cryptocurrency | Blockchain News | Bitcoin News | blokt.com.